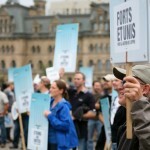 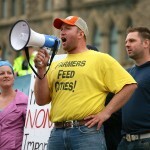 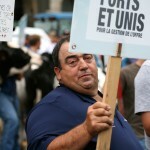 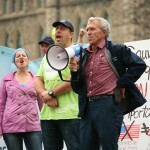 Dairy farmers from Ontario and Quebec demonstrated outside Parliament Hill beginning at 11 am today. 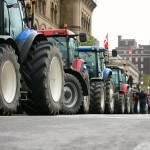 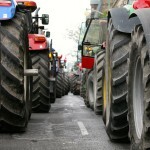 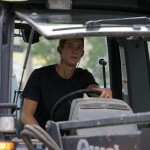 Tractors lined Wellington Street, blocking traffic. 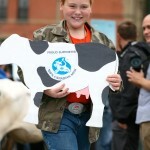 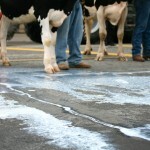 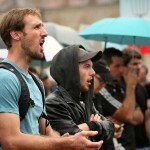 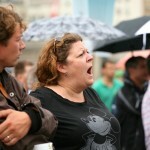 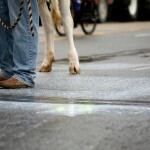 Demonstrators marched cows along the street and threw milk on the ground before heading to the hill. 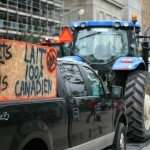 The protest is in response to the Trans-Pacific Partnership, a trade deal that may soon be agreed upon and could damage the dairy-farming industry in Canada.